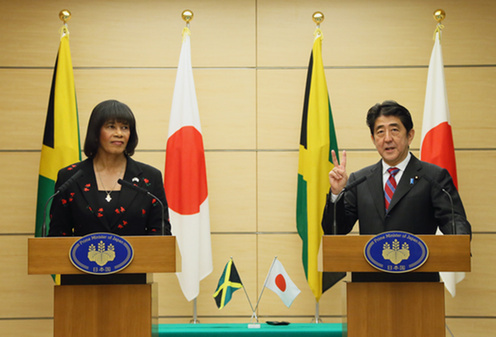 Jamaica and Japan prepare to celebrate 50 years of diplomatic relations next year. 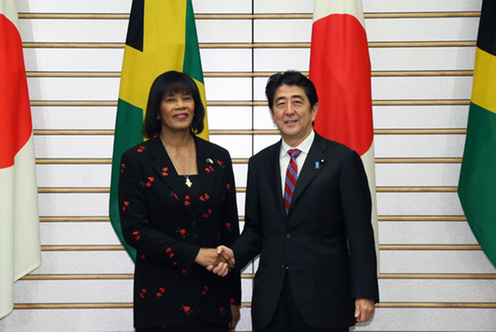 Prime Minister of Jamaica – Portia Simpson Miller visited Japan from November 4th to 8th 2013 in a multi-day working visit aimed at strengthening bilateral relations between Japan and Jamaica. Mrs Simpson Miller and Prime Minister of Japan Shinzo Abe signed a joint statement. The joint statement promised stronger bilateral relationships through shared prosperity, peace and sustainable growth; consolidation of a mutually beneficial and sustainable economic relationship; mutual respect and understanding through dialogue, exchange, and trade; and a strengthening of co-operation on Caribbean and global issues. Borrowing this post mi bredda.